Today is mid-Sidereal Taurus and AM47 should be in the Azores right now. But the world just isn’t ready for it… The world isn’t ready and the world can’t wait: The Impossible Dream. Posted in 47, Alchemical Great Work, Alchemical Voyage, Alchemy, Alter Man 47, Alternative Energy, Alternative Fuel, AM47, Archaeoastronomy, Astroarchaeology, Astrocartography, Astrology, Atlantis, Awareness, Azores, Biodiesel, Ceremonial Magic, Cetacean, Cetaceans, Circumnavigation, Classical Elements, Collaborative Art, Destiny, Dolphin, Dream, Earth, Earthrace, Edgar Cayce, Interspecial Communication, Investigative Mythology, Lucid Dream, Magic, Metaphysics, New Age, Occult, Ocean, Point of EARTH, Project AM47, Prophecy, Sacred Geometry, Sea, Ship, Sidereal Astrology, Speculative Fantasy, Supernatural, Synchronicity, synchronicity generation, Taurus, Transformation, Vision Dream, Visionary, Voyage, Whale with tags 47, Alchemy, alternative energy, AM47, Archaeoastronomy, astrology, Azores, cetaceans, Circumnavigation, destiny, dolphins, earth, Elemental EARTH, Lucid Dream, Magic, Metaphysics, Occult, ocean, portent, sacred geometry, sidereal astrology, Speculative Fantasy, Synchronicity, The Azores, The Impossible Dream, Vision Dream, whales on 30 May 2014 by Jack F.
(31 MAY 2014) Today is mid-Sidereal Taurus and AM47 should be in the Azores right now. But the world just isn’t ready for it… The world isn’t ready and the world can’t wait: The Impossible Dream. Maybe next year. A reconstruction of the main island of Plato’s Atlantis by raising the contoured sea-bed/lowering the sea-level around the islands of the Azores. Four locations in perfect cross-quarter formation around the world are naturally manifesting the characteristics of the 4 Classical Elements of ALCHEMY. The goal of Project ALTER MAN 47 (AM47) is to film the voyage of an alt-fuel ship that will circumnavigate the globe to connect all four of these points, one every three months, over the course of a year and in so doing help raise the spiritual Awareness of mankind. The timing of the voyage is set to the ancient Egyptian/sidereal zodiacal year. Departing from the Point of FIRE in San Francisco, to the Point of WATER off the coast of Japan, to the Point of AIR in Turkmenistan, to the Point of EARTH in the Azores, and back to the Point of FIRE in San Francisco to complete the circle. When the Sun aligns with the direct center or “Angel Point” of sidereal Taurus, the Point of Elemental EARTH (PoEE) can be expected to manifest in the remote volcanic island archipelago of the Azores, the highest mountaintops in the Atlantic Ocean. The next PoEE is on 30 May 2012 (and then again on 29 May 2013, etc.). The AM47 ship was scheduled to have sailed from the Point of AIR in Turkmenistan (just north of Iran) and arrive in the Azores by late-May 2012. The AM47 ship was then to navigate to 37.47 N, -32.28 W for the PoEE on 30 May 2012, for the PoEE. This point lies just west of the islands of Corvo and Terciera, the sites of recently discovered ancient hypogea (underground tombs) and underground temples dedicated to the Phoenecian lunar goddess Tanit! The Azores are considered by many to possibly be the mountaintops/capitol of the legendary lost civilization/continent of Atlantis. There, the crew of the AM47 was/is to generate, observe, dedicate and send Elemental EARTH into Awareness. The AM47 ship was then to continue its circumnavigation of the globe back to the Point of FIRE in San Francisco. After a successfully documented and magically transformative journey around the world, the ship was to again set sail north in late-Sep 2012 for Alert, Nunavut , the northernmost inhabited city on the planet near the North Pole, for the Point of Elemental AETHER and the Gateway of Arcturus on 17 Oct 2012 (and then again on 16 Oct 2013, etc. ), thus completing The Pentaform: A Psycho-Cosmic Pyramid Crowning Gaia. Although funding for the journey was not secured for a 2012 attempt, the cycle begins anew each year and Project AM47 will try again for a scheduled departure no later than 17 Oct 2013 (or 16 Oct 2014, etc.) from San Francisco’s FIRE to the WATER of the Japan Trench. 1. (Ancient) The Azores are considered by many to possibly be the mountaintops of the legendary “lost civilization/continent” of Atlantis. The island mountain of Pico, Azores. 2. (Ancient) The Azores are the highest peaks of earth along the Mid-Atlantic Ridge. The present day religious feast of Pentecost (aka. the 50th day) is celebrated seven weeks after Easter Sunday (27 May 2012, etc.). Easter (aka. Jesus Christ’s Resurrection) takes place on the first Sunday following the first full moon following the vernal equinox. In the West, the earliest possible date of Pentecost is May 10 and the latest possible date is June 13. The Sun is currently in sidereal Taurus from May 15 to June 16. The AM47 Point of Elemental EARTH in the Azores (Mid-sidereal Taurus) currently falls on the end of May or the beginning of June, which places it squarely in the middle of the date-range of Pentecost! This year the AM47 PoEE falls on 30 May 2012. The Cult of the Holy Spirit is a religious sub-culture developed in the Azores, inspired by Christian millenarian mystics. The worship of the Holy Spirit (aka. IHVH: Fire, Water, Air, Earth) is it’s central doctrine. According to a prophecy, a “third age” would be governed by the Holy Spirit and would represent a monastic governance in which the hierarchy of the Church would be unnecessary and infidels would unite with Christians. These theories became associated with the Franciscan Order and feared by the hierarchy of the Church, which is falling right now :) The Cult of the Holy Spirit is not dependent on the formal organization of the Church, nor are the clergy needed to participate in the practices; there are no intermediaries between the devotees and the Divine. Goethe declared Pentecost “das liebliche Fest” – the lovely Feast. He spoke of Pentecost as a time of greening and blooming in fields, woods, hills, mountains, bushes and hedges, of birds singing new songs, meadows sprouting fragrant flowers, and of festive sunshine gleaming from the skies and coloring the earth. 4. (1424) My obsession with cartography (and astrocartography!) might be linked to my Great, G, G, G, G, G, G, G, G, Grandfather Clausson (as in Santa Claus.?. 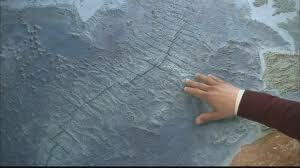 ;) who is considered the first cartographer of America in 1424. He used runic poetry and Norse Myth in naming the points on his voyages to Greenland and “America”. His death remains a mystery but speculations are that he was murdered in Rome for his knowledge of geography and of ‘three large volumes which contained the “Ten Decades” of Livy’.?. Anyway, the center point of his explorations are also on the exact longitude of the AM47 Point of EARTH. The Vinland Map of @1440. Grandfather Clausson’s map is lost to history but verification of his discovery of “America” persists in the literature of the age. 5. (Mid 20th Century) The various tales of “the earth coming out of the sea”. The volcanic creation of new land and new islands in the Azores. And the sinking of others. Base surge and eruptive column at Calelinhos in the Azores. 6. (early 2007) I dreamed about these islands in 2007 before I knew anything about them. You can read about my visionary dream here: Delta & Dawn Dream. 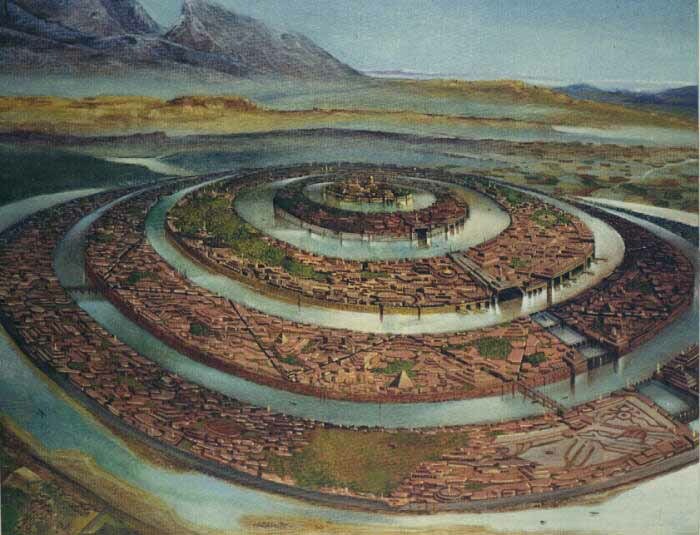 The Capitol of Atlantis? I want to believe. 7. (Mid 2008) An international team of scientists converged on the Azores in 2008 to form a revolutionary joint mission institute to study global warming, oceanic management and earth changes. 8. (Late 2008) The Azores were the first stop for the Earthrace vessel on its alt-fuel race around the globe in 2008. Earthrace also happens to have had basically the same circumnavigatory route that AM47 will. 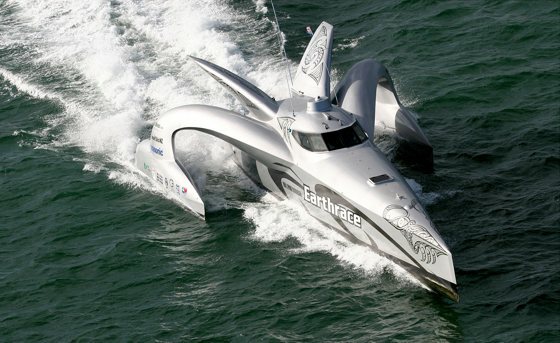 The Earthrace vessel in 2008 while on it’s record breaking alternative fuel race around the world. 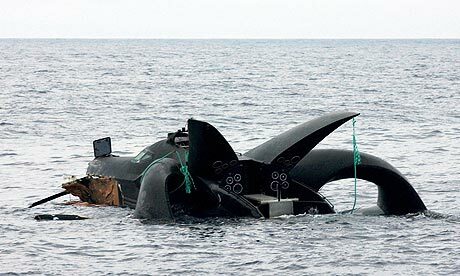 The Earthrace vessel just before it sank in 2010, after being rammed by a Japanese whaling ship. 10. 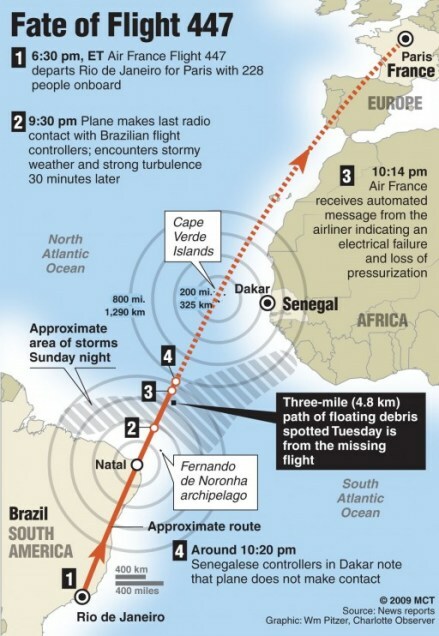 (23 May 2010) The LOST television series came to a close today, just 8 days before the AM47 PoEE in the Azores. In this final episode, on a time-travelling/teleporting/reality-altering island, the hero plugged a hole in the “Heart of the Island”. It sure looked like a Point of Elemental Earth if ever one did see one. Also, a few weeks earlier when the origin of the character of Richard was revealed, a 15th Century era Richard was a prisoner on a ship that was shipwrecked on an island which had the last known location of the Azores!! The Point of Elemental Earth, LOST style. This tortured globe – created using data from the GOCE gravity-mapping satellite – reveals what the Earth would look like if its shape were altered to make gravity the same everywhere on its surface. Areas of strongest gravity are in yellow and weakest in blue. Click on the image to view. 13. (31 May 2011) The AM47 P.o.E. Earth day is tomorrow! There are some fascinating Earthy developments in the Azores: the fact that gravity has been discovered to be highest in the Azores, the discovery of ancient burial sites atop the islands, the Azores being a model for modern alternative energy use, and the recovery of the tragic AF447 black-boxes after 2 years of searching. Read more about those developments HERE. Last night I deamt that a massive, magnificent young blue-black colored bull was being jerked down a bleak, dusty road by a nasty little man in a nasty little truck. Though the bull could have easily smashed the truck and crushed the man inside, the young bull was nevertheless somehow defeated. As the bull passed me the truck lurched, and he managed to display a faintly defiant little buck and gallop as if to pretend that it was all a game. A slaughterhouse monstrosity’s droning grind wavered up from down the road. Tomorrow is the AM47 PoEE in the Azores; the sun will cross the direct center of sidereal Taurus and the new moon too will align with Aldebaran, The Eye of the Bull. Please don’t waste this time by not recognizing it for what it really is. 14. (14 Jul 2011) Ancient Temples Discovered On Azorean Islands In late 2006, I started writing this here tale involving the Azores as possibly being the mountain-tops of legendary Atlantis. In late 2010, archaeoastronomer Nuno Ribiero discovered ancient hypogea (underground tombs) and underground temples dedicated to the Phoenecian lunar goddess Tanit on the remote Atlantic islands of the Azores. Prior to these discoveries, history had dictated that the Azores had been discovered by the Portuguese in the 14th century. The discovery of these ancient temples proves that the Azores were inhabited by a pre-christian civilization… perhaps even an Atlantean civilization. The discoveries are currently developing as of now (mid-2011). In the Mediterranean, Tanit’s main familiar was the dolphin (or the cetacean/whale). Lunar and Pyramidaic symbology also dominate the images of Tanit, and her main image appears to be identical to the Ankh. Echoes of possible child sacrifice haunt Tanit’s worship, even in the present Azorean discoveries. The Ankh-like Phoenician lunar goddess Tanit with her cetacean familiar. I also discovered after the fact, that bulls (the bovine/Taurus, fixed EARTH) play a huge part in the Portuguese culture on the Azores… Point of Elemental Earth indeed. Archaeologists from the Portuguese Association of Archeological Research (APIA) believe to have found in the Azores a significant number of Carthaginian temples, from the fourth century BC, dedicated to the goddess Tanit. Five years ago, I had a visionary dream involving islands I’d never seen before. I soon came to discover that those islands were in fact the Azores, and since that time it has been my passion to sail there from here in San Francisco. I’ve been planning to fund the voyage by making it a part of a film inspired by my dream and all the fascinating esoteric subjects that my ensuing research has come to encompass as a result of it. Unfortunately, the extraordinary nature and scale of the project has made funding it a real challenge. So when I learned from Azores Nation of the chance to win this trip, I knew I had to enter. There are so many things I want to experience in the Azores and document for my story. I want to search for the locations I saw in my dream, to see if they really exist: the stone slab on the hill by the coast, the cooking hearth in the steamy volcanic rock, and the dark flooded underground cavern. There has been a recent controversial discovery of possibly ancient Phoenician tombs and temples on the islands of Terceira and Corvo, and I’d like to begin my search there. And I want to enjoy some Sopas do Espirito Santo, traditionally prepared in the volcanically active earth. I want to explore the underground caverns hidden all over the islands. I want to scuba dive among the dolphins and whales. I want to immerse myself in the therapeutic waters of the Valley of Furnas to help relieve my chronic bronchitis. And of course I want to collect local tales of seafaring adventures and lost Atlantis! I still hope to sail to the Azores one day, and I haven’t abandoned my dream. Winning this trip would be a great opportunity to progress my tale, scout out my future voyage, and take me one step closer to making my project a reality. Feel free to read much more about my dream and this project at AlterMan47 and specifically how it involves the Azores here at AlterMan47/Azores. 17. (22 May 2012) Don’t Drown Out Dolphin’s Voices by drilling for oil in the mid-Atlantic near the Azores! The loud noises can make communication impossible, cutting these social animals off from their families. When faced with this noise, endangered whales stop singing for mates and dolphin mothers can no longer whistle at their babies. Dolphins and whales might beach themselves to get away, or, if they’re too close, they could suffer hearing loss or other injuries. Stop it. 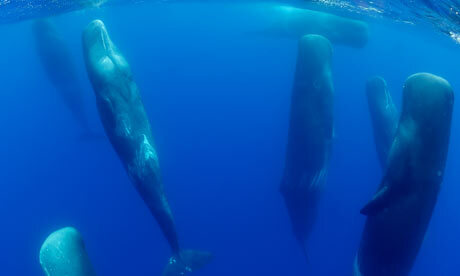 Oil drilling causes insanity and death in dolphins and whales. Stop it. 18. (30 May 2012, 14:47 PST) Today is the AM47 Point of Elemental EARTH in Sidereal Taurus. Six of the seven Inner Planets are in Sidereal EARTH signs!! Four are in Sidereal Taurus (EARTH)! Mars is in mid Sidereal Leo (FIRE), and is the only Inner Planet not in an EARTH sign. Sidereal Taurus just set over the Azores as the Sun reached the center or “Angel Point” of Sidereal Taurus. Astro-archaeologist Nuno Ribeiro spelunking the Azores. 20. ( 27 Apr 2013) The 2010 Icelandic Volcanic Eruption & The upcoming AM47 Alchemical Point of Elemental EARTH on 31 May 2013 in the Azores. 21. (31 May 2013) The AM47 Alchemical Point of Elemental EARTH is HERE! : The Magic of the Azores and the Terror from Outer Space during the 2013 AM47 Point of Elemental EARTH! 23. http://www.goldenageproject.org.uk/survey.php Excellent maps of the Azores & Undersea. 24. (10 DEC 2013) Europe’s Rarest Orchid Rediscovered On ‘Lost World’ Volcano in the Azores Europe’s lost, rarest and most delicate orchid rediscovered at the Point of EARTH. Visible from left to right are the Cygnus (Swan) constellation, with its North America nebula (NGC7000) clearly visible below the star Deneb. Down to the right, is the constellation Aquila. Sagittarius is covered by the cloud. Near the right side is Scorpius and its super giant star, Antares. The planet Saturn, meanwhile, is visible along the right edge of the image, in the constellation Libra. 26. (31 MAY 2014) Today is mid-Sidereal Taurus and AM47 should be in the Azores right now. But the world just isn’t ready for it… The world isn’t ready and the world can’t wait: The Impossible Dream. Maybe next year. 07. ALTER MaN underwAy: How Project AM47 came into being. Posted in 47, AEther, AEthyr, Age of Aquarius, Age of Pisces, Air, Alchemical, Alchemical Great Work, Alchemical Voyage, Alchemy, Alt Fuel, Alter Man 47, Alternative Energy, Alternative Fuel, AM47, Archaeoastronomy, Arcturus, Astonishing, Astroarchaeology, Astrocartography, Astrology, Atlantean, Atlantis, Awareness, Azores, Babylonian, Baker Beach, Balsa Man, Burning Man Event, Burning Man Project, Ceremonial Magic, Ceremony, Cetacean, Cetaceans, Circumnavigation, Classical Elements, Collaborative Art, Cosmology, Destiny, Divination, Dolphin, Dream, Earthrace, Gobekli Tepe, Gonur Depe, Inspiration, Intention, Interspecial Communication, Investigative Mythology, Lucid Dream, Magical, Magick, Manifestation, Metafiction, Metaphysical, Metaphysics, Mysterious, Mystery, Mystic, Mystical, Mythology, New Age, Occult, Occult Societies, Ocean, Ocean Conservation, Paranormal, Pentaform, Pentagram, Platonic Solids, Point of AETHER, Point of AIR, Point of EARTH, Point of FIRE, Point of WATER, Project AM47, Prophecy, Sacred Geometry, Sailing, San Francisco, Scorpio, Sea, Ship, Sidereal Astrology, Sidereal Taurus, Speculative Fantasy, Speculative Fiction, Supernatural, Synchronicity, synchronicity generation, Taurus, Turkmenistan, Uncanny, Utopian Society, Vessel, Vision Dream, vision dreaming, Visionary, Voyage, Whale, Whale Wars, Zodiac, Zoroaster, Zoroastrian, Zoroastrianism with tags 47, Age of Aquarius, air, Alchemy, alternative energy, AM47, Archaeoastronomy, astrology, Azores, Burning Man Event, Burning Man Project, cetaceans, destiny, dolphins, earth, fire, Lucid Dream, Magic, Metafiction, Metaphysics, North Pole, Occult, ocean, portent, sacred geometry, San Francisco, sidereal astrology, Speculative Fantasy, Synchronicity, Vision Dream, Water, whales, zoroastrian on 11 January 2014 by Jack F.
[ The video is a very rough draft of a 47 second vid encapsulating the Alchemical mission of AM47. Another vid is being made that details the more tangible elements of the project like the ship, the crew, the course, the ports, the alt-fuel, the alt-culture, the alt-tech, the Maker Faired build, the Burning Manly design and content of the interior/exterior, the sister projects, the sponsors, the crowdfunding, budget, etc., etc. The Magus, standing triumphant atop the chaotic dragon, which is supported by the Earth. Within the Earth is the alchemical formulae for squaring the circle. The circle represents God, the original unity, from which arises the trinity or triangle and then the square, God’s manifestation in the material universe. It was mid-late 2006 when I was struggling to understand what my next creative move should be. I was considering Burning Man, yet how I would probably never venture out to it’s dusty desert location due to my chronic bronchitis. This project actually grew out of my desire to bring the culture and spectacle of Burning Man into places where I could enjoy it as well. Posted in 47, Alchemical Great Work, Alchemical Voyage, Alchemy, Alter Man 47, Alternative Energy, Alternative Fuel, AM47, Archaeoastronomy, Astonishing, Astroarchaeology, Astrocartography, Astrology, Atlantean, Atlantis, Awareness, Azores, Ceremonial Magic, Ceremony, Cetacean, Cetaceans, Circumnavigation, Classical Elements, Destiny, Divination, Dolphin, Dream, Earth, Earthrace, Edgar Cayce, Inspiration, Intention, Interspecial Communication, Investigative Mythology, Lucid Dream, Magic, Magical, Magick, Manifestation, Manifesting, Metafiction, Metaphysical, Metaphysics, Mysterious, Mystery, Mystic, Mystical, Mythology, Occult, Occult Societies, Ocean, Paranormal, Project AM47, Prophecy, Sacred Geometry, Sea, Ship, Sidereal Astrology, Sidereal Taurus, Speculative Fantasy, Speculative Fiction, Spiritual, Supernatural, Synchronicity, synchronicity generation, Taurus, Transformation, Uncanny, Vision Dream, vision dreaming, Visionary, Voyage, Whale, Whale Wars, Zodiac with tags 47, Alchemy, alternative energy, AM47, Archaeoastronomy, astrology, Azores, cetaceans, destiny, dolphins, earth, Edgar Cayce, Espirito Santo, Lucid Dream, Magic, Metafiction, Metaphysics, Occult, ocean, portent, sacred geometry, sidereal astrology, Speculative Fantasy, Synchronicity, The Azores, Vision Dream, visionary dream, whales on 11 January 2014 by Jack F.
Sperm whales at a dream-in in the Azores Archipelago. In mid-late May 2007, two injured female humpback whales, a mother and calf that became known as Delta & Dawn got “lost” in the San Francisco Bay. They spent 2 weeks roaming the bay in distress. Right about the time that they finally and inexplicably decided to swim back down river toward the sea and vanish (the date of this event would also prove to be highly significant, see below* ), I had this ultra-vivid Visionary Dream that I now suspect was somehow influenced or even induced by these whales. The dream felt more like what I imagine a “vision” would, as opposed to what I understand a lucid dream to be. Astonishingly, key elements of this dream surface in my ongoing research and development of producing the future voyage: ALTER MaN 4 7. Posted in 47, Alchemical Great Work, Alchemical Voyage, Alter Man 47, Alternative Energy, Alternative Fuel, AM47, Archaeoastronomy, Astroarchaeology, Astrocartography, Astrology, Atlantean, Atlantis, Awareness, Azores, Biodiesel, Ceremonial Magic, Cetacean, Cetaceans, Circumnavigation, Classical Elements, Collaborative Art, Dolphin, Earth, Earthrace, Edgar Cayce, Interspecial Communication, Investigative Mythology, Lucid Dream, Occult, Occult Societies, Ocean, Ocean Conservation, Point of EARTH, Project AM47, Prophecy, Sacred Geometry, Sidereal Astrology, Sidereal Taurus, Speculative Fantasy, Synchronicity, synchronicity generation, Taurus, Whale, Whale Wars with tags 47, Alchemy, alternative energy, AM47, Archaeoastronomy, astrology, Atlantis, Azores, cetaceans, Circumnavigation, dolphins, earth, Elemental EARTH, Lucid Dream, Magic, Metaphysics, Occult, ocean, sacred geometry, sidereal astrology, Speculative Fantasy, Synchronicity, The Azores, whales on 11 January 2014 by Jack F.
Posted in 47, Alchemical Great Work, Alchemy, Alter Man 47, AM47, Classical Elements, Investigative Mythology, Point of AETHER, Point of AIR, Point of EARTH, Point of FIRE, Point of WATER, Project AM47, Sacred Geometry, Synchronicity with tags 47, AEthyr, Alchemy, AM47, Anti-copyright, Classical element, earth, Gaia, Occult, sacred geometry, sidereal astrology, Sun, Synchronicity on 30 December 2013 by Jack F.
Look around you now, what do you see? The AETHYR of our desires to recombine and alter them all. These are the Classical Elements that make-up the world in our hands and in our heads; in our imaginations and our dreams. 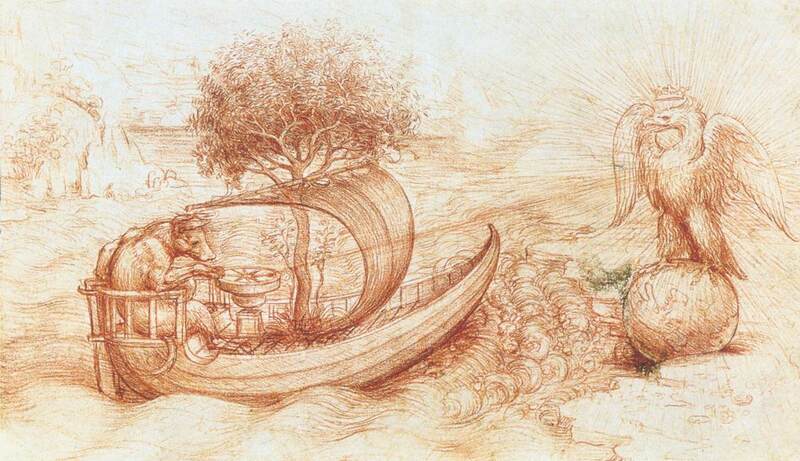 Even in this “modern age”, Alchemy remains ALL… And all you see is ELEMENTAL! Project ALTER MAN 47: The Alchemical Voyage! Posted in 47, AEthyr, Air, Alchemical Great Work, Alchemical Voyage, Alchemy, Alter Man 47, Alternative Fuel, AM47, Astrology, Circumnavigation, Classical Elements, Documentary, Earth, Fire, Investigative Mythology, Magic, Metaphysics, New Age, Occult, Platonic Solids, Project AM47, Prophecy, Sacred Geometry, Sailing, Sidereal Astrology, Synchronicity, Vision Dream, Voyage, Water, Zodiac with tags 47, Alchemy, alternative energy, AM47, astrology, destiny, earth, fire, Lucid Dream, Magic, magick, Metaphysics, Occult, ocean, sacred geometry, sidereal astrology, Synchronicity, Vision Dream, Water on 8 July 2013 by Jack F.
AM47 is the visionary voyage of an alt-fueled ship around the globe; Bourn of a Dream & enhanced by astonishing Synchronicity toward a far more Magical view of humankind’s capability of true change. AM47 aims to further generate Synchronicity and help alter the world’s Destiny by exalting ‘The Pentaform ※ : A psycho-cosmic pyramid crowning Gaia’. [ The video is a rough draft of a 47 second vid encapsulating the mission of AM47. AM47 is both an ongoing project of extreme collaborative creativity and an upcoming experimental film documentary. We are going to chronicle a voyage aboard a 300ft. decommissioned military ocean vessel transformed into an alternatively fueled and Maker Faire equipped, Burning Man styled ship of dreams to carry us on this unprecedented circumnavigation of the globe to help raise the Awareness of mankind. As Evidenced* throughout AM47, much fascinating and undeniably meaningful Synchronicity is associated with the development of the project thus far and we fully expect this to continue and evolve into truly legendary experiences, captured and broadcast on digital film and otherwise. Both the 2008 bio-fueled race around the globe called Earthrace and the annual Burning Man pilgrimage (and Burning Man Project!) were major inspirations of Project AM47, and in many ways AM47 is like the Alchemical progression of Burning Man taken to The 4 Corners of the Earth via The 7 Seas. The project was induced and is influenced by Synchronicity, Vision Dreaming, Alchemy, ancient Egyptian/Sidereal Astrology, and even inter-special cetacean-human communication. AM47 is providing evidence that these ‘fringe sciences’ are not only real but crucial to the future of mankind. AM47 is documenting the current effect of these spiritual techniques and developing ways they can be used together to improve our inner reality and our outer world. The trip will take one full year to complete on a very particular time schedule set to the ancient Egyptian Sidereal Zodiacal year, on a very particular course, connecting 4 destinations spanning the globe. These 4 Points have been found to have a profound Alchemical significance, each relating to the 4 Classical Elements: FIRE is in San Francisco, WATER is at the Japan Trench, AIR is in Turkmenistan, EARTH is in the Azores and also AETHYR is above the North Pole. Together they make The Pentaform: a psycho-cosmic pyramid crowning Gaia. We aim to provide tangible innovative knowledge along the way including alternative energy demonstrations, sustainable agriculture models, and all manner of alternative living technology that we can fit aboard the ship, in addition to performances and entertainment. We are currently seeking a crew of filmmakers, artists, musicians, writers, scientists, mystics, freaks, lovers, fishermen and perhaps most importantly, benefactors to depart from San Francisco by 17 Oct 2012 (or 16 Oct 2013, etc.). Clearly this project is a logistical nightmare and a sunken juggernaut without the right team to manifest it. As it stands, the dream swings on a threadbare shoestring over the Abyss. We need all kinds of folks willing to contribute their time, expertise and passion. We need a professional website and video. We need web help, coding help, production help, marketing help, crowdsourcing help, editorial help, research help, and probably mental help. If you’re interested in being involved in a visionary project that will challenge you on every possible level, you’ve found it. And Intent is crucial… so clear a path in your soul and jump on-board! * This is an experimental work of Speculative Fantasy / Metafiction: Dreaming-up wild yet tangible and evidenced ideas, and following the Synchronicity that flows from them. It is metaphysically blending dreams with currently developing reality to alter the course of Destiny. The Magic of the Azores and the Terror from Outer Space during the 2013 AM47 Point of Elemental EARTH! Posted in 47, Alchemical Great Work, Alchemical Voyage, Alchemy, Alt Fuel, Alter Man, Alter Man 4 7, Alter Man 47, Alternative, Alternative Energy, Alternative Fuel, AM47, Archaeoastronomy, Asteroid 1998 QE2, Astrocartography, Astrology, Cetacean, Cetaceans, Circumnavigation, Classical Elements, Collaborative Art, Earth, Investigative Mythology, Magic, Magick, Manifestation, Meta Fiction, Metafiction, Metaphysics, New Age, North Pole, Occult, Ocean, Point of AETHER, Point of EARTH, Point of WATER, Sacred Geometry, Sailing, Ship, Ships, Sidereal Astrology, Sidereal Taurus, Speculative Fantasy, Speculative Fiction, Synchronicity, Turkey, Turkmenistan, Vision Dream, Visionary, Voyage, Whale, Zodiac with tags 47, Alchemy, alternative energy, AM47, astrology, Azores, destiny, earth, Lajes Field, Lucid Dream, Magic, magick, Metafiction, Metaphysics, Occult, ocean, sacred geometry, sidereal astrology, Sidereal Taurus, Synchronicity, Vision Dream, whales on 2 June 2013 by Jack F.
A sperm whale and Mt. Pico, Azores. (02 Jun 2013) The ALTER MAN 47 Alchemical Point of Elemental EARTH is in the Azores. The Azores is the 4th prime destination to be reached on the AM47 voyage around the globe before returning back to the start in San Francisco to complete the circle. The AM47 ship The Mantra, is scheduled to reach the Azores by 30 May 2014, mid-Sidereal Taurus (15 May – 16 June, fixed Earth element). Although The Mantra didn’t acquire the funds to make the voyage this year, these are the developments in the Azores during the AM47 Point of EARTH 2013. A complete history of this fascinating location and how it relates to the larger framework of Project AM47 is here: AM47 Point of Elemental EARTH. (17 May 2013) News from the Azores had been virtually dormant for a few months before this article was published on the 2nd day of Sidereal Taurus: The islands with green fingers: A blooming marvelous horticultural break to the Azores. And multiple similar articles about the beauty (Venus ~ Taurus) of the Azores have been published over the past two weeks! (22 May 2013) Azores named best European sustainable destination – Award! Azores is #1 sustainable travel destination in Europe! (19 Jun 2013) Azores Fringe Festival. Just, WOW! A Fringe Festival (alternative/sustainable music, art and culture) in the Azores (part of a global “Fringe” network!) is taking place on June 19th in the Azores, just 19 days after my proposed AM47 Elemental EARTH Ceremony!!!! Not too shabby, eh? Plus there’s a reference to “1947” but it’s in Portuguese and I haven’t translated it yet! Still though, Pretty Fucken Stoked! I’m contacting them now about adjusting the event date to coincide with the arrival of The Mantra this time next year!!! WILD WISHING. … I guess we’ll be camping out a bit longer than we’d planned. (17 May 2013 /17 Mar 2013) Watch the Biggest Explosion Ever Seen on the Moon. The Moon was hit by an asteroid while it was in Sidereal Taurus on 17 Mar 2013! This article appeared on 17 May 2013, the 2nd day of Sidereal Taurus, just like the first relevant article about the Azores above. Fascinating! This article was among the first of many to show the NASA video. (30 May 2013) Comet ISON Is Hurtling Toward Uncertain Destiny With Sun. Amongst all these other looming space news stories comes this one about the approaching Comet ISON with spectacular new images of it… And it may well be “The Blue Star” of Hopi Prophecy. Interestingly, Comet ISON will be at it’s closest and brightest DIRECTLY ON the AM47 Point of Elemental WATER in late November – early December 2013 (mid-Sidereal Scorpio)! I can think of few greater dreams come true than sailing around the world on The Mantra under a night sky populated with a blued comet (electrical!) as bright as the moon!! But time is running out and the deadline approaches to manifest AM47 this year in 5.5 months at the most. So how are YOU going to help make this dream come true? (31 May 2013) That was close! 1.7 mile wide QE2 asteroid sails just 3.6million miles past the Earth – and it is so big it even has its own moon! Fairly massive hype about this world-smashing space rock that sailed by planet earth DIRECTLY ON the AM47 Point of Elemental EARTH… which is, like, Now!! (31 May 2013) NASA GRAIL Mission Solves Mystery of Moon’s Uneven Gravity. The reason for the moon’s wildly uneven gravity is due to the chaotic pattern of asteroid impacts called “mascons” within which the impact material still “floats” upon the moon’s inner mantle. (28 May 2013) Lab Develops Breakthrough ‘Superclean’ Hydrogen Fuel. “Scientists at Lawrence Livermore Lab developed a process that produces ‘superclean’ energy while also reducing ocean acidification.” But of course, The Mantra will run on “alternative” hydrogen fuel, while fulfilling it’s mission to re-alkalize earth’s dying ocean… and alter planet earth forever. (31 May 2013) Riots, barricades, street battles as police fight protesters in Turkey (VIDEO, PHOTOS). Turkey is the ultimate flashpoint between east and west. The so-called “Turkish Spring” began DIRECTLY ON the AM47 Point of Elemental EARTH. The latitude of the AM47 voyage is 37.47 N which cuts directly through Turkey (as well as almost EVERY other major modern power center on planet earth)… Not long now until All Is Revealed!! (31 May 2013) Encountering Peace: Our window of opportunity, “On 31 May 2013, US Secretary of State John Kerry put it straight: there is a short window of opportunity to make peace with the Palestinians and most of the Arab world.” 31 May 2013 was of course the AM47 Point of Alchemical EARTH day, mid-Sidereal Taurus. Sidereal Taurus is a decidedly Venusian sign dealing in peace, love, beauty, art and comfort. 31 May 2013 was the “Angel Point” of Sidereal Taurus and the AM47 Point of EARTH. (31 may 2013) Protest Group Gives Turkish Official a List of Demands. The “Turkish Spring” began on 31 May 2013. It all began when one of the last parks (EARTH) in Istanbul was slated to be paved over, and the people rose up. The conflict has evolved into a much larger issue of political activism. 31 May 2013 is the center or “Angel Point” of Sidereal Taurus (EARTH) and the AM47 Point of Alchemical EARTH. The latitude of the AM47 voyage runs directly through the middle of Turkey and virtually EVERY other power center of this modern age! A Giant Asteroid 1998 QE2, Will Pass Planet Earth on the exact date of the AM47 Alchemical Point of Elemental EARTH!!! Posted in 47, AEther, Alchemical Great Work, Alchemy, Alter Man 4 7, Alter Man 47, AM47, Archaeoastronomy, Asteroid 1998 QE2, Astonishing, Astrocartography, Astrology, Atlantean, Atlantis, Awareness, Azores, Cosmology, Divination, Dream, Earth, Investigative Mythology, Magic, Magical, Magick, Metafiction, Metaphysical, Metaphysics, Meteor, Mysterious, Mystic, New Age, Occult, Paranormal, Point of EARTH, Project AM47, Prophecy, Sacred Geometry, Sidereal Astrology, Sidereal Taurus, Speculative Fantasy, Speculative Fiction, Spiritual, Synchronicity, Taurus, Vision Dream with tags 31 May 2013, 47, Aldebaran, AM47, Asteroid, astrology, Azores, destiny, earth, Magic, magick, Metaphysics, Moon, Occult, Planet, sacred geometry, sidereal astrology, Synchronicity on 21 May 2013 by Jack F.
On 12 Mar 2013, Earth’s Moon was hit with the biggest asteroid in recorded history. At that time the Moon was in Mid-Sidereal Taurus: the AM47 Alchemical Point of Elemental EARTH (which occurs when a planetary body and the Sun align with Aldebaran, Mid-Sidereal Taurus). On 31 May 2013, an asteroid the size of the Golden Gate Bridge will fly-by Planet Earth. It’s a Big rock and headed this way on 31 May 2013, same day as the AM47 Point of Elemental EARTH in the Azores (31 May 2013) when the Sun and Earth/Azores align with the “Angel Point” (the center) of Sidereal Taurus, Aldebaran. NASA says it will miss this planet, but I think we all know by now how courses can be Altered… Will humankind lift off the Blacklist in time? NASA estimates that there are 4,700 deadly asteroids that could cause an extinction level event on planet Earth. Sleep loose, Dream tight. And remain Aware of Project ALTER MAN 47. The 2010 Icelandic Volcanic Eruption & The upcoming AM47 Alchemical Point of Elemental EARTH on 31 May 2013 in the Azores. Posted in 47, AEther, AEthyr, Alchemical, Alchemical Great Work, Alchemical Voyage, Alchemy, Alter Man 47, AM47, Archaeoastronomy, Astroarchaeology, Astrology, Atlantean, Atlantis, Azores, Circumnavigation, Destiny, Divination, Earth, Earthrace, Fukushima, Gaia, Investigative Mythology, Jack Fool, Lucid Dream, Magic, Magical, Magick, Metafiction, Metaphysical, Metaphysics, Mystical, New Age, Occult, Ocean, Paranormal, Pentagram, Platonic Solids, Point of EARTH, Point of WATER, Project AM47, Prophecy, Sacred Geometry, Sea, Ship, Sidereal Astrology, Speculative Fantasy, Speculative Fiction, Supernatural, Synchronicity, Taurus, Transformation, Vision Dream, Visionary, Voyage, Water, Whale with tags 47, Alchemy, AM47, Atlantic Ocean, Azores, Burning Man Project, destiny, earth, Human, Iceland, magick, Metaphysics, Mid-Atlantic Ridge, North Atlantic, Occult, ocean, portent, sacred geometry, sidereal astrology, Synchronicity, United States, Water, whales on 27 April 2013 by Jack F.
The main eruption on Iceland in 2010 which subsided during the AM47 Point of Elemental EARTH. Beginning on 14 April 2010, volcanic eruptions in Iceland created an ash cloud that led to the closure of most of the European IFR airspace. By 31 May 2010, the main eruption phase had subsided to the point that no further lava or ash was being produced. Aurora Borealis meets the coagulant blood of the earth in Iceland @ the time of the AM47 Point of Elemental EARTH, 2010. On the Azorean isle of Graciosa: Furna do Enxofre, Sulfur Cave, a massive lavic cave with a lake inside it. I dreamt of this actual cave BEFORE I ever consciously knew of it’s existence!! Human activity in the North Atlantic region was essentially brought to a halt for 6 weeks. It was as though the Earth itself had quieted after saying it’s peace. But has humankind actually heard this peace or any other of the multitude of signs and portents relating to The Alchemical Great Work of ALTER MAN 47.?. Atmo-volcanic lightning activity during the 2010 Icelandic eruption. The upcoming AM47 Alchemical Point of Elemental EARTH is on 31 May 2013 in the Azores. As a guardian of nature and temporary nemesis of humankind, a big part of me would love to see massive seismic/volcanic activity spawn from the region around the Azores, Iceland and the Mid-Atlantic Ridge to enact some measure of natural retribution on the world, esp. the British & American Empires: bookends of the Atlantic Ocean. Pico Island is an island in the Central Group of the Portuguese Azorean archipelago noted for its eponymous volcano, Ponta do Pico, which is the highest mountain/elevation of the Mid-Atlantic Ridge. Dormant.?. Humankind is moving ABYSMALLY SLOW and is completely and deliberately! manipulated out-of-phase with it’s potential destiny, which makes the urge to do bad against the nebulous perpetrators (ergo, the masses) almost overwhelming. It’s been done many times before within the portentous framework of Project AM47. The epicenter of the earthquake/tsunami that led to the continuing tragedy of the Fukushima disaster was centered DIRECTLY ON The AM47 Alchemical Point of Elemental WATER off the eastern coast of northern Japan. Shall humankind remain so ignorant and cowed as to require these structurally unparallelled punitive measures. ?… I challenge humankind to convince me otherwise before oblivion is the sole option. Russian Meteorite Exalts Sidereal Aquarius On Planet Earth! Posted in 47, Alchemy, Alternative Energy, Astrology, Atlantis, Burning Man Event, Burning Man Project, Cetaceans, Chelyabinsk Meteor, Classical Elements, Destiny, Dream, Fundraising, Jack Fool, love, Magic, Metafiction, Metaphysics, Meteor, Mystical, Mythology, Occult, Ocean, Point of AETHER, Point of AIR, Point of EARTH, Point of FIRE, Point of WATER, Prophecy, Russian Meteor, Sacred Geometry, Ships, Sidereal Astrology, spell, Synchronicity with tags 47, Alchemy, alternative energy, AM47, Asteroid DA14, astrology, Burning Man Event, Burning Man Project, cetaceans, Chelyabinsk, Chelyabinsk Meteor, Chelyabinsk Meteorite, DA14, destiny, dolphins, earth, fire, Magic, magick, mataphysics, Metaphysics, Occult, ocean, portent, russian meteor, sacred geometry, sidereal astrology, Synchronicity, Ural, Ural Mountains, Water, whales, zoroastrian on 15 February 2013 by Jack F.
Russian Chelyabinsk Meteorite Explodes On A Trajectory Over The AM47 Point of Elemental AIR!!! The Sun had just entered Sidereal Aquarius (AIR) and a massive meteorite tore across the sky over the Ural Mountains in Chelyabinsk, Russia. This was an even more magnificent teaser trailer to the bigger Asteroid DA14 about to buzz Earth @ 11:24 AM PST on Friday 15 Feb 2013. The Russian Meteor Chart. The Sun had just entered sidereal Aquarius and the meteor struck at dawn at this location no less! And directly in line with the AM47 Point of AIR!! Astounding!!! Look at the planetary grouping @ Aquarius… A definite portent to take up from the skies! This meteor cut the atmosphere in half directly along the longitude of A Cosmically Superimposed Alchemical Point I’d nailed 5 years ago: The AM47 Point of Elemental AIR!!!! The Sidereal Age of Aquarius is still 360 years in the future and I’ve been writing about that a lot lately. If humanity doesn’t heed these portents and get passionate about ALTERING ITSELF, humanity dies. PERIOD! So let’s see this event put AM47 on the map and get to the business of changing this world!!! The Black Arrow shows the trajectory of the meteorite! ASTOUNDING SYNCHRONICITY in relation to the AM47 Point of Elemental AIR in Sidereal Aquarius!! 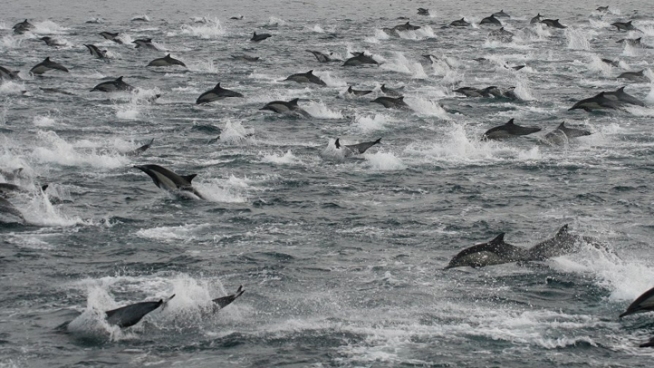 100,000 Dolphins Mass Migrate South On The Longitude Of The AM47 Point of Elemental FIRE! Posted in 47, Alchemy, Alternative Energy, Astrology, Atlantis, Burning Man Event, Burning Man Project, Cetaceans, Chelyabinsk Meteor, Classical Elements, Destiny, Dream, Fundraising, Jack Fool, love, Magic, Metafiction, Metaphysics, Meteor, Mystical, Mythology, Occult, Ocean, Point of AETHER, Point of AIR, Point of EARTH, Point of FIRE, Point of WATER, Prophecy, Russian Meteor, Sacred Geometry, Ships, Sidereal Astrology, spell, Synchronicity with tags 47, Alchemy, alternative energy, AM47, Asteroid DA14, astrology, Burning Man Event, Burning Man Project, cetaceans, Chelyabinsk, Chelyabinsk Meteor, Chelyabinsk Meteorite, DA14, destiny, dolphins, earth, fire, Magic, magick, mataphysics, Metaphysics, Occult, portent, russian meteor, sacred geometry, sidereal astrology, Synchronicity, Ural Mountains, Water, whales, zoroastrian on 15 February 2013 by Jack F.
I’m covering a piece on the unprecedented mass Dolphin migration currently going on in the Pacific Ocean near San Diego, CA, and all Google gives me under a “dolphin” search is goddamnmotherfuckingshitstainedbitchbastard American Football!! !… I’m about to vomit a rib. It’s things like this that make me think that the bottom corner of the last page of an ancient litanal tome chronicling mankind’s obstentious relicing reek couldn’t even begin to do justice to the LEVEL of utter despise that I hold for most of humankind on this day! REEK!!!!!! AaUuGgHh! !… What’s notable is that this mass-migration of 100,000 Dolphins south is Directly along the longitude of the AM47 Point of Elemental FIRE! This in conjunction of the Russian Meteor that just blazed down the longitude of the AM47 Point of Elemental AIR may well be significant beyond this authors rattled mystical sensitivity. But rest assured that I’ll be following this whale-tale to be sure. The Alchemical Voyage: AM47 & The Burning Man Project share the same dream! Posted in 47, Alchemy, Alternative Energy, Astrology, Atlantis, Burning Man Event, Burning Man Project, Cetaceans, Classical Elements, Destiny, Dream, Fundraising, Jack Fool, Magic, Metafiction, Metaphysics, Mystical, Mythology, Occult, Ocean, Point of AETHER, Point of AIR, Point of EARTH, Point of FIRE, Point of WATER, Prophecy, Sacred Geometry, Ships, Sidereal Astrology, Synchronicity, Uncategorized with tags air, Alchemy, alternative energy, astrology, Burning Man Event, Burning Man Project, destiny, earth, fire, hydropower, Magic, magick, mataphysics, Occult, ocean, sacred geometry, sidereal astrology, Synchronicity, Water, whales, zoroastrian on 19 December 2012 by Jack F.
When two projects appear simultaneously, pertaining to the same dream of inquiry, one must always pay Strict! attention. AM47 and the Burning Man Project share the same dream of spreading the creative and sustainable ethos and practices created at the Burning Man Event across the globe. “The Burning Man Project believes that direct personal engagement, both as individuals and as collaborators, is essential for manifesting change around the world”. AM47 has been generating the big picture of this fantastic true story for the past 5 years, and the Synchronicity of the two projects is uncanny.